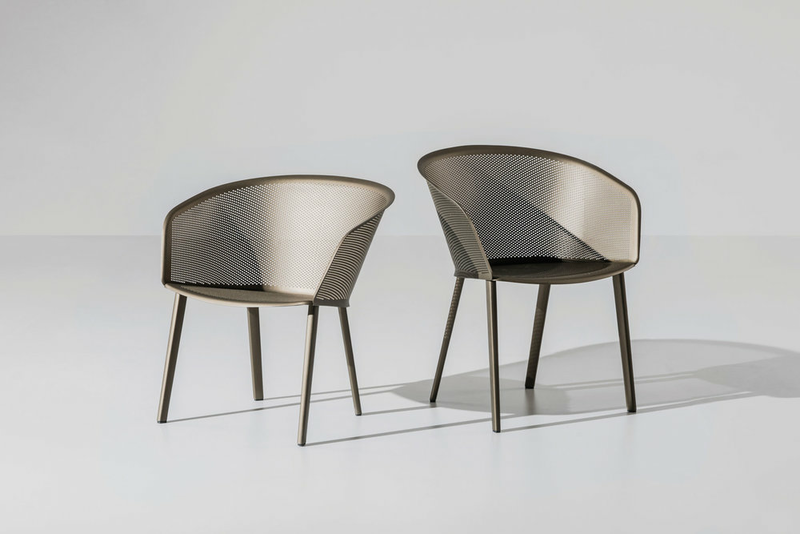 With Stampa we have developed a full-blooded aluminium armchair combining several aluminium manufacturing techniques. The injection-moulded ring connects thestamped seat, the back and the hydro-formed legs and reinforces the whole shell. This allows to create delicate shapes that recall textile sensations and are robust enough to stand the test of time – also in an outdoor environments.